Anxious and paranoid about getting rejected for Korean visa? You’ve probably heard success stories of visa approvals and horror stories of denied visa applications from family and friends. But don’t fret. With enough research and preparation, you can boost your chance of getting approved for a visa to South Korea. Yes, you can achieve your long-time dream to visit the country that ignited your love for K-pop, K-drama, and K-BBQ! Here’s a detailed guide for tourists who’ll apply for a visa to Korea. Who are exempted from getting a Korean visa? 1. Frequent visitors to Korea. 2. Visitors to Jeju Island. 4. Philippine official and diplomatic passport holders. 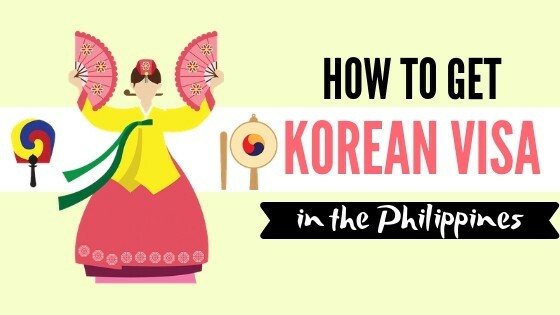 How to Apply for a Korean Visa in the Philippines: A 5-Step Guide to Getting Approved. 1. Determine the type of Korean visa you’ll be applying for. Types of Korean Visa for Tourists: Single-entry Visa vs. Multiple-entry Visa. 2. Prepare the Korean visa requirements. OECD visas and arrival stamps (if applicable). Invitation letter and photocopy of inviter’s passport or ID (if invited by a Korean citizen) or Korean company business permit (if invited by a company in Korea). For Filipinos married to Koreans. 3. Submit your Korean visa application. How to apply for a Korean visa at a travel agency. How to apply for a Korean visa at the Cebu Consular Office. 4. Check your visa application status online. 1. Visit visa-free countries first before traveling to Korea. 2. For first-time visitors to Korea: Apply for a single-entry visa with a stay of 10 days or less. 3. Inform HR about your Korean visa application. 4. Maintain an unquestionable transaction history in your bank account. 5. Avail of credit card promo for Korean visa. 6. Check for Korean visa updates regularly. 1. What are the names of travel agencies accredited to process Korean visa applications? 2. Can first-time travelers apply for a Korean visa? 3. When should I apply for a Korean visa? 4. 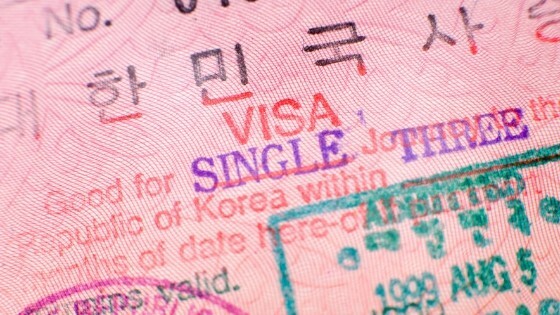 Can I get a visa to Korea without an ITR? 5. Is the company alpha list still required in Korean visa application? 6. How can unemployed Filipinos get a Korean visa? 7. Are plane ticket and hotel booking necessary for Korean visa application? 8. Can I get approved for a Korean visa if my bank account was opened less than six months ago? 9. Are both the bank certificate and bank statements required? Can I submit just one of them? 10. How much show money should I have in my bank account? 11. Do I still need to submit my financial documents if I have a sponsor? 12. I am a freelancer and don’t have a certificate of employment. Can I submit other documents instead? 13. I’m currently abroad. Can I ask someone to file my Korean visa application for me? 14. We’ll travel to Korea as a family. Should we apply separately or at the same time? Does everyone have to be present during the visa application? 15. My old passport is lost. Will my visa application be accepted without it? 16. Why was my Korean visa application denied? Can I make an appeal? 17. I have an unused Korean visa that has expired. Do I still need to apply for a new visa? Can Filipinos enter Korea without a visa? Generally, no. But certain kinds of visitors are allowed visa-free access to the country. You’re entitled to a visa-free entry if you’ve visited Korea more than four times in the last two years or more than 10 times in total (with one of the visits made within the last two years). You also should have never overstayed or violated any law in Korea. However, foreigners under the Frequent Visitors Policy are still required to apply for a visa, a process that’s easier than regular Korean visa applications. For frequent travelers to Korea, a multiple-entry visa with a five-year validity and maximum stay of 30 days is issued. This visa is free of charge. Another way for Filipinos to enter Korea visa-free is to fly directly to Jeju International Airport. Currently, there are no direct flights from the Philippines to Jeju Island, but you can take a Manila-Hong Kong-Jeju flight via Cathay Pacific or Dragonair. Philippine passport holders can stay only in the South Korean island without a visa for up to 30 days. Transiting through Korea on your way to or from the U.S., Canada, Australia, or New Zealand? You’ll be allowed a visa-free stay in Korea for up to 30 days if you have a valid visa to any of those four countries and a confirmed plane ticket or boarding pass leaving Korea within 30 days from the date of entry. High-ranking Philippine government officials and permanent government employees have visa-free access to Korea any time, whether for a temporary visit or an official assignment. It’s a privilege that official and diplomatic passport holders enjoy under the Visa Exemption Agreement between the Philippines and South Korea. Choosing the correct type of Korean visa is crucial to getting approved. Many applicants got denied for a visa because they failed to qualify for the visa type they applied for. Make sure you understand Korean visa types before applying for a visa. Korean visas are classified into a broad array of categories. There are visas for a short-term visit, business, studying, and a whole lot more. With so many types of Korean visas to choose from, picking the one you need can be overwhelming. Good thing, the Korean Visa Portal has an online tool called the Visa Navigator that can help you find a suitable visa type. Go to Korean Visa Portal’s Visa Navigator. At the top right menu, click on the “English” link to change the language from Korean to English. Select “Asia” from the Continent drop-down menu. Select “Philippines” from the Country/Region drop-down menu. Select the applicable option from the Purpose of Entry drop-down menu (If you’ll visit just for tourism and will not visit anyone in Korea, choose “Short Term Visit”). Select your Length of Stay. Click the Visa Navigator Start button. A list of visa types based on your search will appear. Check the eligibility requirements and allowed activities per visa type to find the one that matches your purpose. To see more detailed information about a specific visa type, click on the corresponding button under the Status of Stay column and scroll down the page. Carefully read each description for the possible visa types, as it’s quite challenging to distinguish one visa type from the other. For example, a person who will visit Korea to attend a relative’s wedding must apply for a visa type (short-term general C-3-1 visa) that’s different from that of someone who will travel just for leisure (ordinary tourist C-3-9 visa). 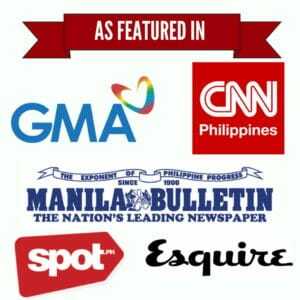 This guide focuses on the Korean tourist visa for Filipinos. If you’re visiting Korea for a different purpose, call the Korean Embassy at (02) 856-9210 local 270 or 500 or send an email to ph04@mofa.go.kr for inquiries. Filipino tourists may apply for either a single-entry visa or multiple-entry visa to Korea. Single-entry visa holders can enter Korea only once and stay for up to 59 days within three months from the issue date. Meanwhile, multiple-entry visa holders can go to Korea for an unlimited number of times and stay for up to 30 days per visit within a validity period of up to 10 years. The Korean government has recently relaxed its multiple-entry visa qualification criteria for Filipinos to attract more travelers from Southeast Asia. The express visa is an expedited processing service for a temporary visitor’s visa application only. 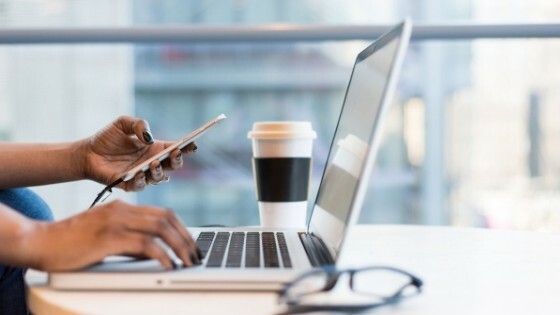 It’s processed within just three to five working days (excluding the application date), which is faster compared to the standard processing time of five to 15 working days. Some accredited travel agencies provide this service. A filled-out application form for the express visa should be filed together with other requirements when you apply for a Korean visa. A non-refundable service fee for the express visa costs Php 1,000 (in addition to the processing fee charged by the travel agency). This section provides a complete and updated list of Korean visa requirements. Make sure all your documents are complete before filing your application. Download, fill out, print, and sign the visa application form in advance so that you won’t waste time accomplishing the forms during your application. Create a checklist of Korean visa requirements to ensure that nothing is forgotten. Keep them all in an envelope to avoid missing any document. Download from the Korean Embassy website. Filled out digitally using CAPITAL LETTERS. Manually signed (Forms with a digital signature are not accepted). No erasures and no marks outside the boxes. For non-applicable items (such as Details of Visa Issuance Confirmation), just leave them blank. 35 mm. x 45 mm. With a white or off-white background. Taken within the last six months. Shows full face without a hat. Original copy of the latest passport. Valid for more than six months prior to departure date. With signature and at least two blank pages. Submit a photocopy of your passport’s second page (which shows your photo and personal information) along with other Korean visa requirements. If you’ve traveled to OECD member-countries for the last five years, submit your old passports, as well as photocopies, that contain the relevant valid visas and arrival stamps. Having OECD visas speeds up visa processing and exempts you from submitting an ITR, but it doesn’t guarantee approval. Likewise, having no OECD visa doesn’t mean you’ll get denied for a Korean visa. Your purpose and length of stay in Korea, address, and contact information. A brief note that the inviter guarantees you’ll comply with Korean laws and regulations. The Korean Embassy also requires certain financial documents proving you can shoulder your travel expenses. 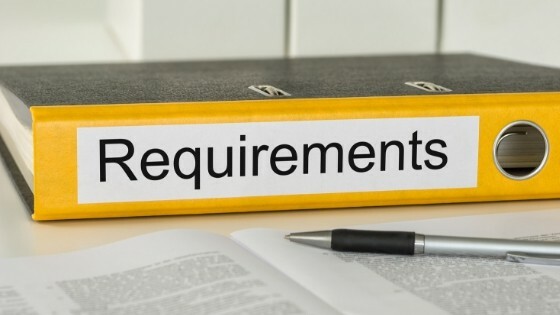 The additional requirements vary for employees, entrepreneurs/self-employed people, housewives, students, senior citizens, and spouses of Koreans. Certificate of employment: Must include the position title, hiring date, compensation, office address, HR landline number (mobile number not accepted), and HR email address. Bank certificate: Must include bank account type, current balance, account opening date, and six-month average daily balance or ADB. Income tax return (ITR): No need to submit an ITR if you’re a frequent traveler to OECD countries within the past five years. The original or certified true copy of bank statements or passbook for the past three months. PRC card or IBP card (if applicable). Photocopy of business registration documents from DTI or SEC. Photocopy of business permit or mayor’s permit. Photocopy of ITR or Form 2316 with payment receipt from a BIR-authorized bank. If the spouse is employed: Spouse’s original certificate of employment and ITR or Form 2316. If the spouse is self-employed (photocopies only): Spouse’s business registration documents from DTI or SEC; business permit or mayor’s permit; and ITR or BIR Form 2316 with payment receipt from a BIR-authorized bank. Original bank certificate (yours or your spouse’s). The original or certified true copy of bank statements or passbook (yours or your spouse’s) for the past three months. Photocopy of NSO/PSA marriage certificate. Original school certificate (a document certifying that the student is currently enrolled in the school for the current academic year, with the school’s dry seal and school head’s signature). If parents are employed: Original certificate of employment and photocopy of ITR or Form 2316. If parents are self-employed (photocopies only): Business registration documents from DTI or SEC; business permit or mayor’s permit; and ITR or Form 2316 with payment receipt from a BIR-authorized bank. Photocopy of NSO marriage certificate. Photocopy of valid visa (if applicable) or photocopy of passport or valid ID (if parents will not travel with the student). Photocopy of senior citizen ID. If bank certificate and bank statements are named under a family member: Photocopy of marriage certificate, birth certificate, or any relevant proof of relationship. Certificate of Korean Marriage History (valid for three months). Photocopy of Korean’s passport bio-page. Invitation letter from Korean spouse. If the Korean spouse is employed: Original certificate of employment. If the Korean spouse is self-employed: Business registration documents from DTI or SEC. Walk-in applications for tourist visas are no longer accepted at the Korean Embassy in Taguig. Instead, the Embassy has designated 35 travel agencies to receive visa applications, similar to how Japan visa applications work in the Philippines. Travel agencies have their own rules for Korean visa applications, which also change from time to time. Some are even strict about details as small as the font size to use for accomplishing the application form. Contact the travel agency first to inquire about its guidelines and confirm any information before you apply for a visa. For example, ask the agency about its schedule for receiving visa applications, so you won’t arrive when the office is closed. Also, check if the agency accepts documents sent via courier, in case you live too far from any agency’s office. Although the actual visa application process may vary per travel agency, here’s what you can expect to do during your Korean visa application at an agency. Go to your preferred travel agency’s office. Bring an ID aside from your passport. Sign in and leave your ID to the guard. Present your documents to the staff. Get your queue number. When your number is called, go to the appropriate window (with OECD visa / without OECD visa). Wait for the staff to finish checking your documents. You may be asked questions about your trip to Korea or to provide additional documents. The staff will give you a slip with the pickup schedule for your passport. Keep this piece of paper. While the Korean visa itself is free of charge for a stay of 59 days or shorter, you’ll have to pay a service fee to the travel agency that will process your application. Visa processing fees range from Php 500 to Php 1,500 per applicant. If you’ll stay in Korea for 60 to 90 days, you’ll also be charged a visa application fee of Php 2,000. The Korean Consulate in Cebu still allows walk-in applications every Monday to Friday, from 9 a.m. to 11 a.m. only. Applicants are encouraged to arrive earlier at 8:30 a.m. or until 10:30 a.m. to allow time for processing. No need to set an appointment for visa application in Cebu, as applicants are served on a first-come, first-serve basis. Go to the Cebu Consular Office (12/F Chinabank Corporate Center, Lot 2, Samar Loop cor. Road 5, Cebu Business Park, Mabolo, Cebu City). Bring two valid IDs aside from your passport. Register and leave your ID at the concierge in the lobby. Take the elevator to the 12th floor. Get a queue number from the guard. You’ll be asked to present an ID. Wait for your number to be called. When it’s your turn, proceed to the Visa window and submit your documents. The staff will check them to ensure they’re correct and complete. Get the slip that contains the schedule for your passport pickup. Visa processing in Cebu is free for a 59-day stay or less. If you’ll stay in Korea for 60 to 90 days, you’ll have to pay Php 1,350. If you have questions about visa application in Cebu, you may contact the Consulate via email at phi_cebu2015@mofa.go.kr or phone at (032) 231-1516(-9). Waiting for the result of your Korean visa application can be as worrisome and nerve-racking as gathering the requirements. Visit the Check Application Status page of the Korea Visa Portal. Click on the “English” link at the upper right corner to change the language from Korean to English. Select “Passport No.” from the drop-down menu. Enter your passport number. Type your name as shown in your passport using this format: SURNAME FIRST NAME (Example: DELA CRUZ JUAN). Enter your birthdate in this format: YYYY-MM-DD (Example: 1984-08-19). No Search Data Has Been Found – It may mean an error in spelling or format of the information you provided. Do the steps again, making sure you enter your data correctly this time. If the same status appears, it probably means the travel agency hasn’t forwarded your documents yet to the Embassy. Application Received – The Embassy has received your requirements and has yet to decide on your application. Refresh the Korea Visa Portal a few times to see if the status will change. Approved – Congratulations on your visa approval! Visa processing times vary depending on where you file your application. If you submit your requirements to a travel agency, processing may take five to 15 working days. This is the typical lead time for a visa application without OECD visa. Processing an express visa application or a regular one with OECD visa is faster, usually around three to 10 working days. Visa applications filed at the Consulate in Cebu are processed for seven working days, with or without OECD visas. The consular office releases Korean visas every Monday to Friday, from 2 p.m. to 4 p.m. only. Most agencies require claiming the passport personally from their office, while a few others can mail it to you. When you pick up your passport and found out you’re approved, check the visa carefully to ensure all data are correct. Some Filipinos got approved for a visa to Korea even if they’d never traveled before. However, it doesn’t mean approval for all first-time international travelers. You’ll have a greater chance of Korean visa approval if you’ve established yourself as a frequent traveler. The easiest way to build a travel history is to visit visa-free countries such as Hong Kong, Thailand, Indonesia, and most Southeast Asian countries. Showing a lot of stamps on your old passports proves that you’re a tourist who just wants to tour a country for a short time, returns each time, and never overstays. 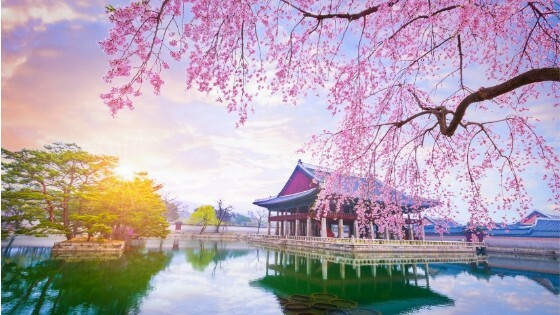 While it can be tempting to request a two-week or one-month stay in your Korean visa application, you’re better off settling for a shorter stay if this is your first time to visit Korea. Asking for a longer stay will raise doubts on your true intention for traveling to Korea, especially if your bank documents show that you don’t have enough money to fund your trip. From the consul’s point-of-view, there’s a risk of overstaying or getting a job illegally in Korea. “The documents you have submitted cannot be verified.” This is one of the common reasons the Embassy gives to Filipinos who are denied for a visa. If the Embassy can’t contact the concerned parties for validation of your documents, there’s no way it can ensure the accuracy of the information on your visa application. So make it easy for the consul to verify your certificate of employment, bank certificate, bank statements, and other documents. Give a heads-up to your HR department, employer (or clients, if you’re a freelancer), and bank. Tell them to expect a call or email from the Korean Embassy for document verification. Your bank certificate and bank statements will be closely scrutinized. If the consul spots a strange transaction in your bank statements—like a one-time large deposit a few weeks or days before your application—it raises a red flag and may lead to rejection. So keep a normal transaction history in your bank account. The more frequent the transactions are, the better because it means your account is active. Did you know that you can qualify for a multiple-entry visa to Korea without having to submit a bank certificate and ITR? You can enjoy this privilege if you have a BDO credit card or BPI credit card that’s eligible for the promo (Check the Korean Embassy website for the list of eligible cards). 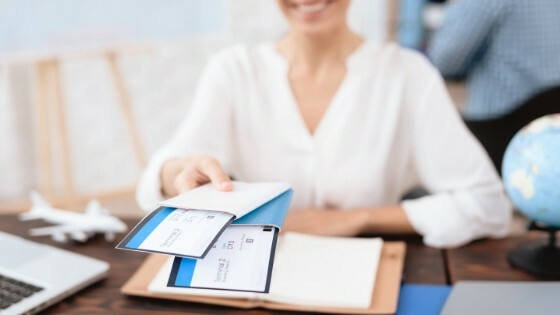 Simply present your original credit card and submit a photocopy of the card and the original credit card account statement to the travel agency when applying for a Korean visa. The promo is valid until December 31, 2019, but it may be extended, just like it did in the previous years. Sometimes, the Embassy issues new rules and processes regarding visa applications. Keep yourself updated to avoid mistakes and getting rejected for a visa. Regularly check the Visa Announcement page of the Korean Embassy website for updates. You may also follow the Korean Embassy’s Facebook page.